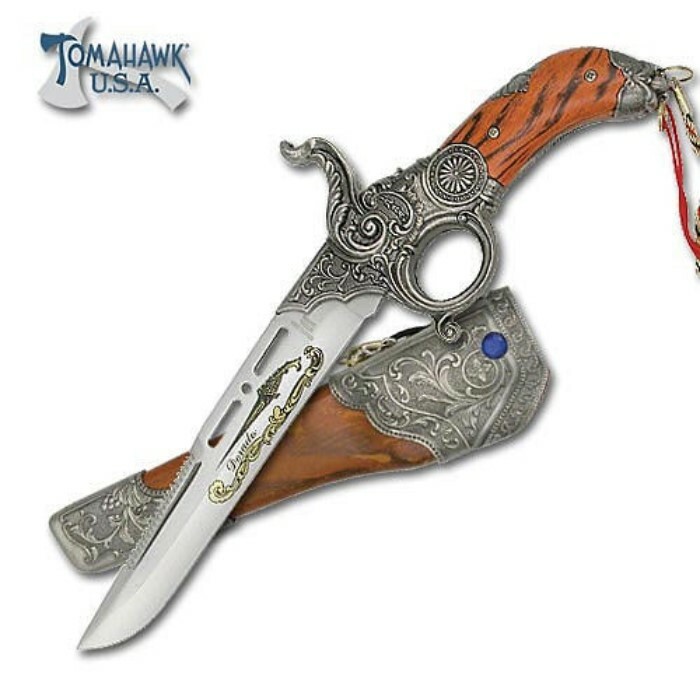 Apache Pistol Bowie Knife | BUDK.com - Knives & Swords At The Lowest Prices! This unique item is an innovation on the famed Bowie knife design. This knife features a polished stainless steel 6 3/4" serrated blade with an intricate laser etch. The brass finished cast metal handle is constructed to resemble a pistol grip, while the coordinating blade sheath is designed as a holster. This clever and fully functional knife measures 15 1/2" overall. Tomahawk, XL1151.